This home is perched just above the Pacific coastline, with white water ocean views. 5 bed, 5 bath 5,048 sqft. mid-century, on spacious 7,345 sq.ft lot. Designed by world renowned architect Alfred "Hap" Gilman," expanded & remodeled with custom updates, while keeping the original charm. Skylights illuminate the entryway, dining room, and family room w/ fireplace. Beamed ceilings & hardwood flooring throughout. Chef's kitchen w/ granite countertops, stainless steel appliances, spacious island, & breakfast nook. Guest bed/bath on main level. 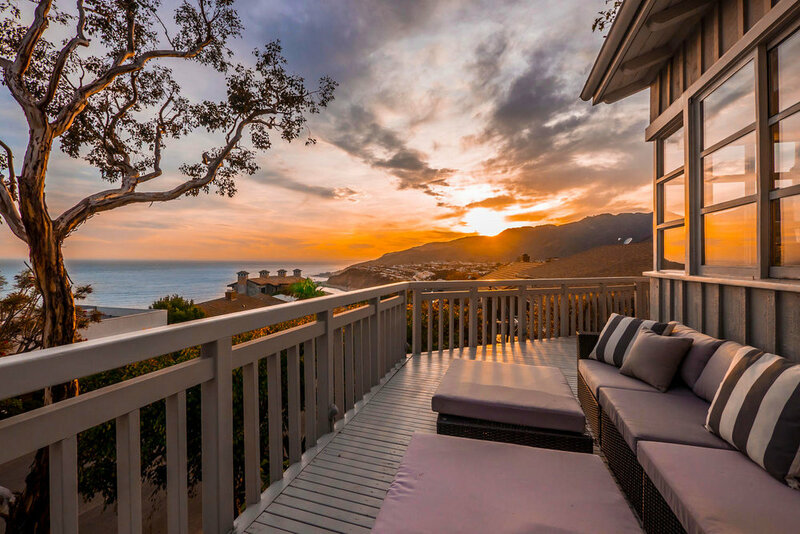 Separate entrance available up to the master retreat boasting spectacular ocean, coastline, and Malibu mountain views. Master bath has huge spa tub, walk in shower, & spacious walk in closet. On opposite side of home find two additional bedrooms. Lower level media & laundry room. Glass doors open to landscaped, green yard, & entertainer's dream wraparound deck to witness breathtaking sunsets & feel the ocean breeze.